A group of youngsters from a Northumberland dance academy have qualified for the European qualifiers for a street dance competition. Bad apples dance and performance academy on Regent Street in Blyth, offer dance workshops to kids and teenagers and have taken first place in all age groups. Talented dancers from the club headed to Durham for the North East Regional Qualifiers for UDO street dance on Sunday, November 15, to compete against the best street dancers the north of England has to offer. The dancers headed home with a number of trophies and personal bests, and 14 dancers have now qualified to head to European and World heats in 2016 and represent Bad Apples and the UK. 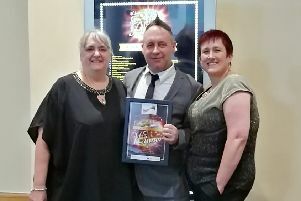 Director of Bad Apples, Caroline Ball, said: “I am so proud of the attitude of the dancers on the lead up to the competition and it is fantastic to see them go to competitions and do so well. “We are very lucky to work with such amazing young people and have the support of the parents.